Below you can view all the townhouses for sale in the One Ivey Walk Vinings subdivision located in Smyrna Georgia. 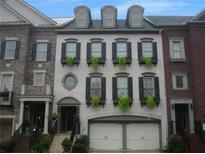 Listings in One Ivey Walk Vinings are updated daily from data we receive from the Atlanta multiple listing service. To learn more about any of these townhouses or to receive custom notifications when a new property is listed for sale in One Ivey Walk Vinings, give us a call at 404-998-4102. 4Th Floor Great Teen Suite, Exercise Gym Or Media Room. Must See MLS#6523450. Village Realty. Elevator To All Levels. Make An Offer! Motivated Seller! MLS#6516654. Pro Realty, Llc..
Pool/Fitness Ctr/Clubhouse+ Walk To Awesome Restaurants/ Shops Just Outside Gate. MLS#6515201. Berkshire Hathaway Homeservices Georgia Properties. Hardwood Floors And Plantation Shutters Throughout And Seven Walk-In Closets. Walk-Out Deck For Outdoor Living. MLS#6508003. Realty One Group Edge. Enjoy The Community Pool, Clubhouse, And Gym, And Walk To Restaurants & Bars Right Outside The Gate. Video Https://Hometouramerica.Box.Com/S/391Iga7Q06Wddp0Isr9Ltpnhrrrvxb0G MLS#6118162. Keller Williams Buckhead. One Car Garage With Several Spots For Parking Outside Of Townhome. MLS#6116812. Berkshire Hathaway Homeservices Georgia Properties. Walk Out The Gate Of Your Community And Enjoy A Variety Of Atlanta'S Finest Eateries. MLS#6114093. Harry Norman Realtors. Relax In Your Large Master Suite With Spa-Like Retreat. MLS#6110074. Crown Realty Inc.. Perfect For Bedroom, Sitting Area And Gaming Space. Must See! MLS#6105152. Harry Norman Realtors.